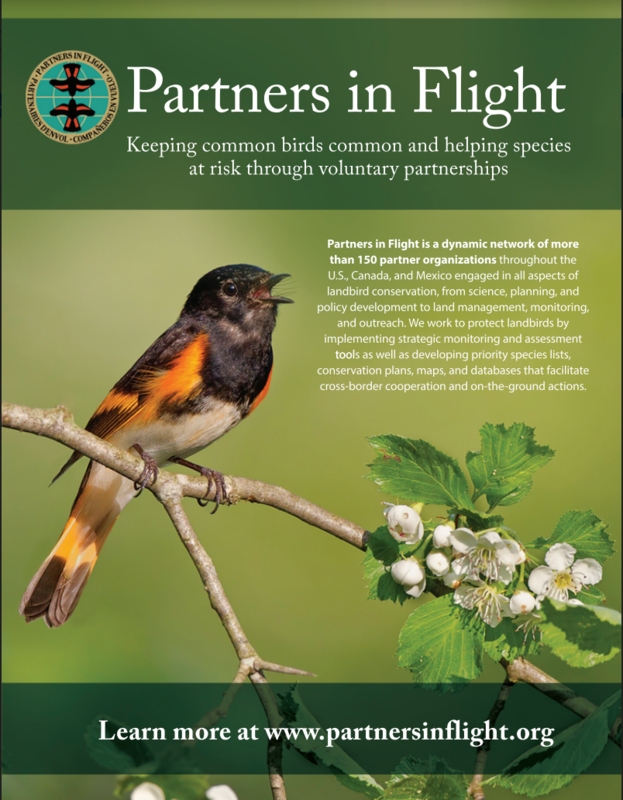 South of the U.S., numerous partners are working to conserve migratory birds as part of broader conservation efforts for resident birds, other biodiversity, and the environment. 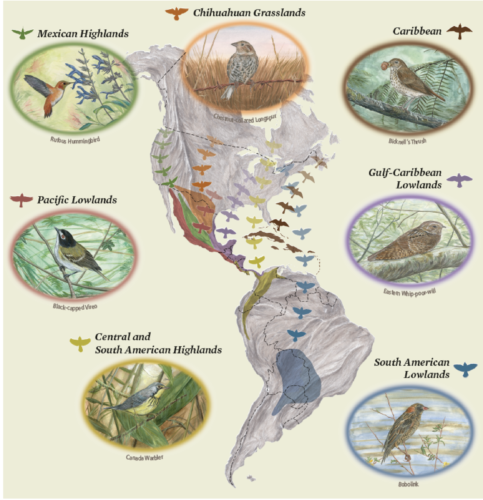 For example, the Central American Species Assessment process is bringing together scientists, managers, and policy makers from Mexico and Central American countries in an ongoing effort to extend PIF’s science-based approach throughout the Western Hemisphere. In 2013, PIF’s Fifth International Conference brought together more than 240 conservation professionals from, 120 organizations and 16 countries across the Americas to launch a new framework for full life-cycle conservation, focused initially on seven winter geographies shared by suites of Watch List species. Approximate geographic wintering areas, linked to breeding grounds, for suites of PIF Watch List species, with example species shown. 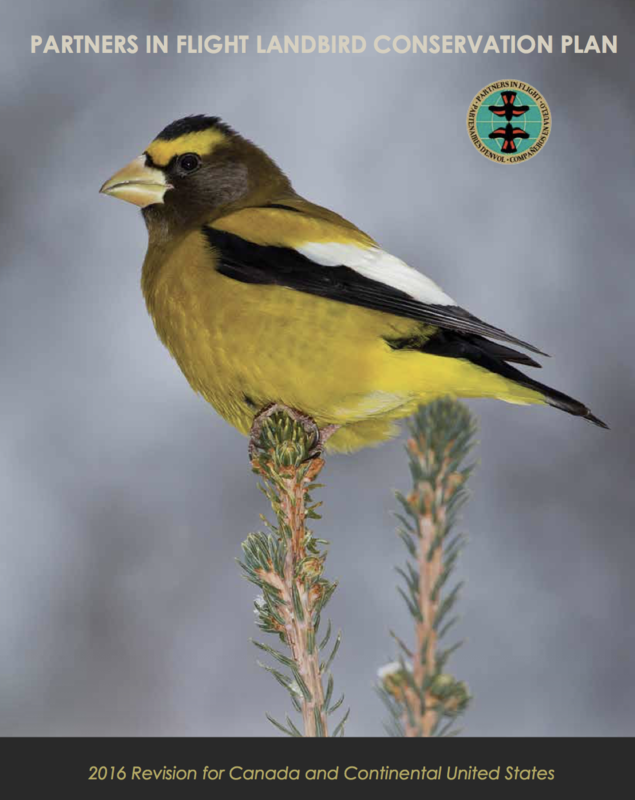 Source: PIF Landbird Conservation Plan, page 23.